During the very first Sino-Singapore Artificial Intelligence Forum, Singapore Finance Minister, Heng Swee Keat, invited China to help Singapore test artificial intelligence solutions that will tackle everyday problems faced by sectors like banking and healthcare in Singapore. The forum was held in Nanjing and 350 artificial intelligence experts from both China and Singapore participated in the forum. During the speech, Mr. Heng was reported to invite Chinese entrepreneurs and businesses to test their solutions in Singapore’s sandboxes, which are secure platforms that allow for software to be securely tested in a regulated but relaxed environment before they are launched in the market. For instance, the Land Transport Authority has been testing driverless automobiles in such a sandbox in Singapore. Mr. Heng highlighted the potential both the countries have been harboring for the development of artificial intelligence and elucidated the different aspects of lives that can be improved with the development of AI. Referring to the metric of measurement for citations received in publications, the Finance Minister said that at present, Singapore ranks at the top of the world in research quality as established by the field-weighted citation impact. 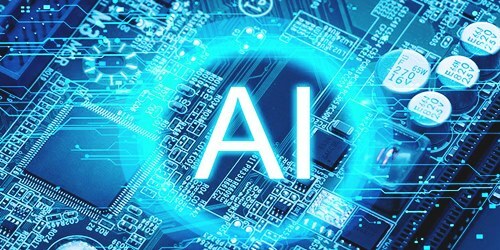 Not only has the Singapore government already invested heavily in the development of AI technology, it also plans to invest an additional S$150 million in AI research and development over the next five years. Mr. Heng especially pointed out that both China and Singapore require the use of AI to raise productivity as the population in both countries is rapidly aging and the labor force, which is the foundation for the success of these countries, is increasingly slowing down. The AI industry is gaining potential traction in China which has the largest number of smart cities and has rolled out pilot projects to develop 500 other such cities. Singapore and China had collaborated in the past for the development of artificial intelligence during the Joint Research Program in 1999 and a joint grant that was agreed on by national science institutions of both countries in 2015.